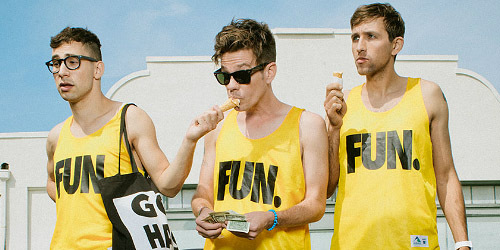 When three local acts decided to split, one member of each formed a trio, and in 2008, that new act became fun., consisting of Jack Antonoff, Andrew Dost and Nate Ruess. Even then, I bet they couldn’t have imagined what the last two years or so would’ve looked like for them, but they hit in a big way with huge hooks and a sound all their own. 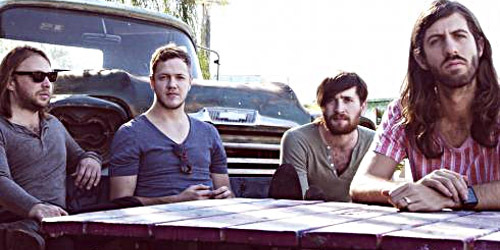 Their last of three #1’s in a row on my personal chart holds down the runner-up spot of my Top 100 of 2013. “Carry On” was written by the three members and producer Jeff Bhasker, a song about persevering even when the moment is rough. Often compared to works by Guns N’ Roses and Queen for its anthemic feel and harder rock touch, it was a critical favorite and received much fan support both live and on sales and streaming. Thus, it was an easy choice to become the third single from Some Nights and did moderately well in territories like Canada and the U.S., where it went top 20. It also went top ten on several international airplay charts. As seen above, “Carry On” entered into consideration for my chart on September 9 of last year, the same week that previous single “Some Nights” was spending its eighth and final frame at #1. As not to disrupt its run too quickly, “Carry” bubbled under my chart for about a month and then entered on October 14. It took just five weeks to go top ten and then hit #1 in its eighth week, also running a length of eight frames at the top. So, why is “Carry” their biggest hit when “Some” spent the same amount of time at #1? Well, “Carry” is farther ahead in points than “Some” ever totaled. “Carry” achieved a massive 21 weeks in the top ten and 29 in the top 20, which really built up its numbers. I would also be remiss to not mention that the reason it had an extended run in the top 20 falling down the survey was, in part, due to the Boston Marathon bombings on April 15, a really sad and tragic day for all of this around this area. During the manhunt for the two suspects and into the aftermath of it all, one of the local stations played a custom mix of “Carry On” with audio clips of victims, police officers and other witnesses to the event. I guess it served as a message that we all could, indeed, carry on and be Boston Strong in the face of such a horrific day. We move forward, but we never forget. I also don’t think I’ll forget the impact that this band had on me with their second album, Some Nights. With three #1 singles in a row and a fourth top ten hit, they had one of the best debut eras in my chart’s history. 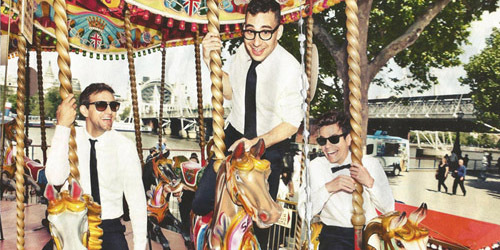 I’m not sure if we’ll see the band in action on the charts again in 2014 as member Jack Antonoff and his band Bleechers will be releasing their debut album on RCA Records in the new year. Although, if it’s early enough, I think a Q4 surprise from the trio may just be an explosive. Until then, I think they’re doing quite alright. Well done, Andrew, Jack and Nate. It’s been another fun. year in music with you.